During the year, I shall be sharing links and brief descriptions of blogs related to the outdoors, written by fellow Ordnance Survey #GetOutside Champions. Here's the 2nd one in the series. Another blog by a fellow GetOutside Champion. Sian Anna Lewis was one of the team I was part of, that formed on the first day of the event, and dined together in the evening. We did the selfie challenge together as part of the team too. Sian is a freelance travel and outdoors journalist. 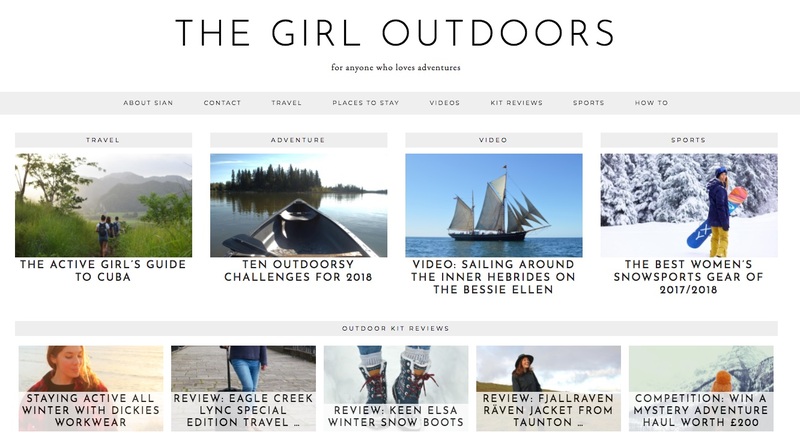 There are plenty of posts on Sian's blog providing advice and reviews on equipment such as clothing, and travelling and exploring, some of which are connected with solo-female travelling. She is also active on Instagram, where you can see more of her adventures. Sian has also just had a book published which looks excellent reading, and with plenty of tips for travelling, particularly for women. I'm hoping to get my hands on a review copy shortly and will share my thoughts on it then.